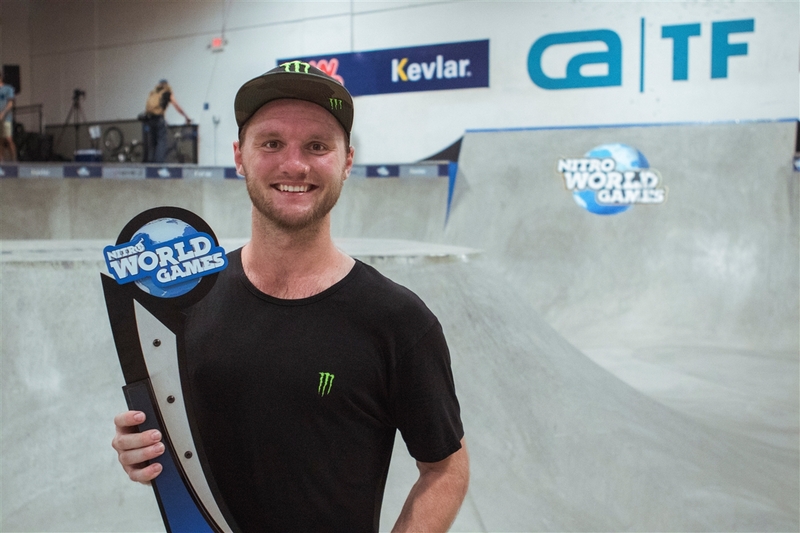 VISTA, CALIFORNIA – August 20, 2018 – Monster Energy congratulates Ben Wallace for his flawless showing at the first ever Nitro World Games park event and his teammate Brian Fox on his Best Trick victory. Wallace’s well-rounded approach to the unique bowl made his runs stand out among the best in the world, while Brian put body and bike on the line in the 20-minute jam event. 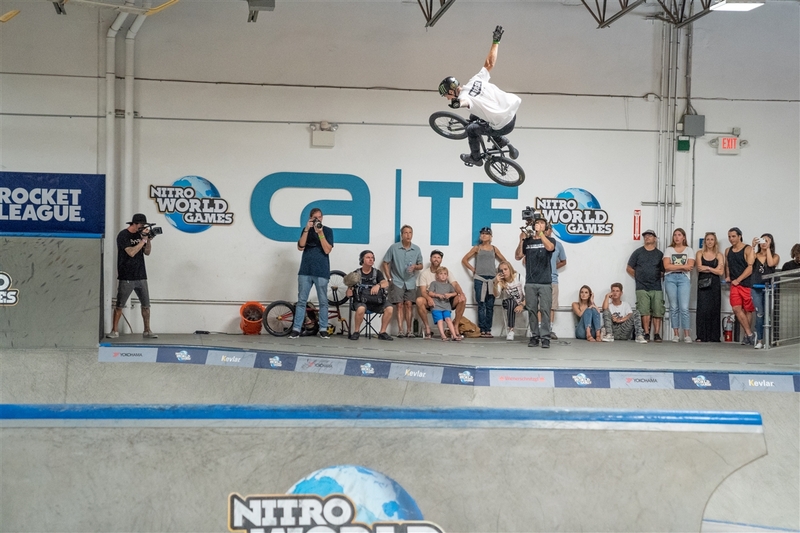 A private event at a brand new facility nestled north of San Diego, the inaugural Nitro World Games event brought out the best riders in the world looking for their portion of the $300,000 prize purse. But it wouldn’t be a quick road, as Ben would have to battle his way through Quarter and Semi Finals to even have a shot at walking away with a trophy and some cash. Wallace was on point the whole way through, combining everything—big tricks, boosted airs, speed, unique lines, and technical tricks—in his runs time and time again. 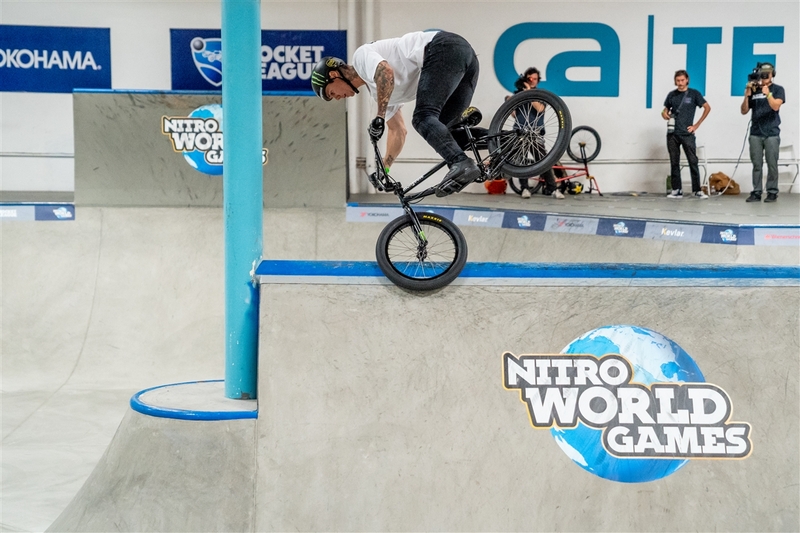 He kicked off each run with a massive lookback transfer into a vert quarter, but he upped the level in his very last run in Finals to seal the third place finish. From that very first transfer Wallace kept the speed going through a unique line that seemed impossible to everyone watching. Stylish and boosted one-footed X-ups, toboggans, and no-handers filled each wall, a different huge transfer with a tailwhip, and then cutting an unreal line to a flair across the longest quarter in the park. 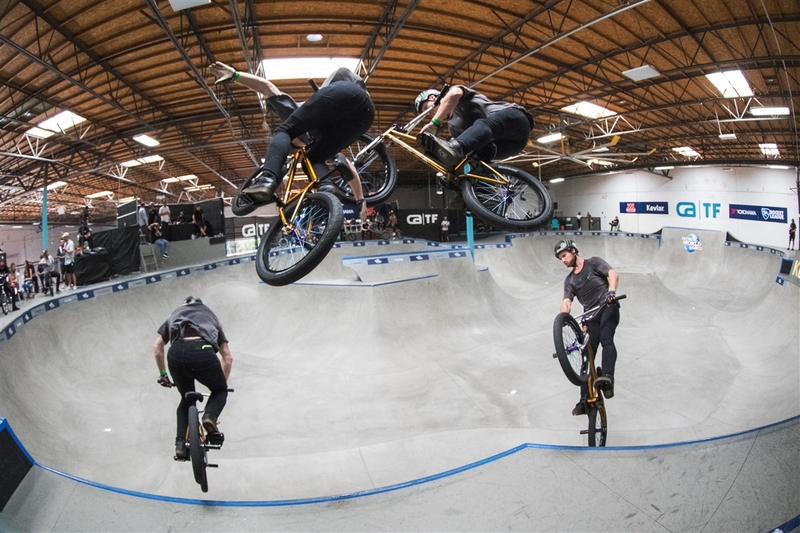 A double tail-whip over the box, an alley-oop lookback, a whip over the triangle spine, and an insane double tail-whip pocket air were the remaining bangers of his run. What sealed the deal for Wallace was the barrage of technical tricks he was able to squeeze into the last few seconds of his run: a downside footplant x-up on the building’s support beam, a 540 tailtap, and an over-tooth-to-back-over on the triangle spine —an unreal run that had every element of riding. After the event, Wallace was on cloud nine.